It’s impossible to say the name Soleil Moon Frye and not think of her iconic TV persona, Punky Brewster. But the former child star is all grown up and has a whole new fan base. Not only is the 37-year-old actress now a wife and mother of two with a baby on the way, but she’s somehow managed to carve out the time to amass a loyal group of 1.4 million followers on Twitter and over 600,000 on Facebook. She’s built the popular website MoonFrye.com, has a new mobile app and a book called Let's Get This Party Started. And to top it all off, she’s the new host of Home Made Simple on Oprah Winfrey’s OWN. Tune in to Home Made Simple on Saturday October 19 at 9 a.m. EST/PST on OWN. 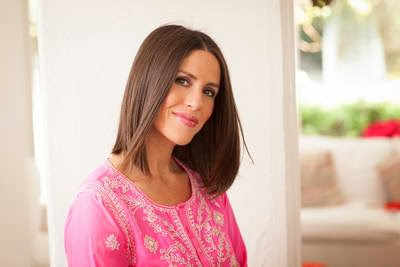 And visit moonfrye.com to find out more about Soleil’s app and new book Let's Get This Party Started.